Meta Therm Furnace Pvt. 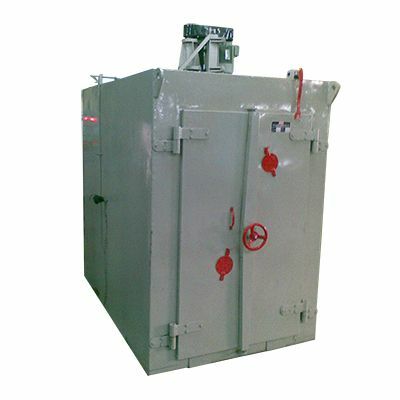 Ltd is recognized as one of the superior Paint Curing Oven Manufacturers In Mumbai. Curing is the last step in the paint process and the cure oven raises the temperature of the coated material as well as the product mass to a specified mark and holds it for a long time. We have designed these ovens to give you more precision control over the temperature adjustment. The corrosion resistant body and long service life of these ovens also increased their demand in the market. It is also equipped with advanced features to ensure your safety at all times. Exhaust System - The exhaust system of this oven is pretty effective. It ensures the adequate release of heat for optimum operations. Flexibility - These ovens can be used for curing different types of materials, and this flexibility of applications makes them ideal for a variety of purposes. Quality Raw Material - We utilize top-quality raw material while manufacturing these ovens. It makes them highly reliable and durable. We are one of the most reliable Industrial Paint Curing Ovens Exporters and Suppliers in India. Give us a call right now to place your order.